On this week’s episode, we discuss techniques for growing peppers and pepper varieties to plant in the vegetable garden. Pepper seed germination can take a while and will require some patience. 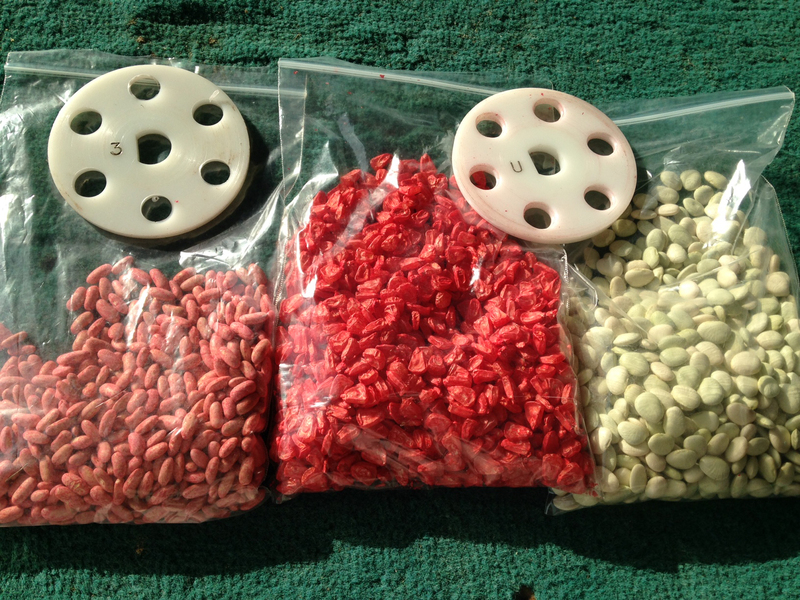 Some varieties will take up to 2 weeks for germination. Hot pepper varieties usually take longer to germinate than sweet pepper varieties. Pepper transplants grow well in our heavy-duty seed starting trays when placed on a heated germination mat. Because pepper seedlings can be quite fragile, we recommend replanting them in 4″ pots before transplanting into the ground. This will allow the stem to become stronger and more durable. Large pepper plants will need some form of support to keep them upright and keep fruits off the ground. 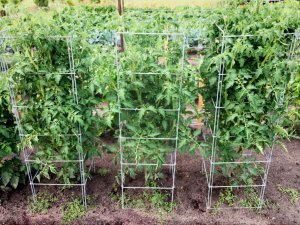 For just a few plants, we recommend using our smaller Tomato Cages. 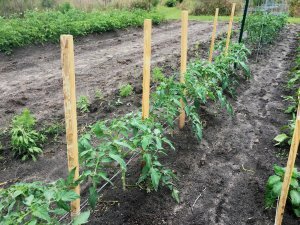 For many plants or an entire row of peppers, the Florida Weave trellising technique works great. You can use cotton twine or commercial-grade, poly twine for this technique. Our current pepper varieties include Bayonet Bell Pepper, Gold Rush Banana Pepper, Tiburon Poblano Pepper, Beaver Dam Hot Pepper and many others. Bayonet Bell Pepper is a hybrid variety that produces blocky, consistently-sized fruits. The Tiburon Poblano Pepper and Beaver Dam Hot Pepper, although not very hot at all, are some of our favorites for grilling and stuffing. On the Show & Tell segment, we talk about green onions or spring onions. Greg has some green onions from his garden that are just starting the bulbing process. At this stage, it is important to provide the onion plants with plenty of water, but not to fertilize them anymore. Once the vegetative stage has ended, the plants will require no more fertilizer and just need ample amounts of water to produce large, sweet onions. On the Q & A segment, we answer questions about heat-tolerant lettuce varieties and storing seed potatoes that have been cut. Cherokee and Muir lettuce are varieties that have been highly-acclaimed by many market farmers, and are known to be very heat-resistant. We hope to carry both of these varieties in the near future in pelleted form. When cutting seed potatoes, we simply put them in a bucket and leave them in a dry, cool place. They could be spread on a table or other surface, but we haven’t found that to be necessary. On this week’s episode, the guys talk about growing vegetable seedlings in a greenhouse. Greg explains how this can be tough for someone who is at work all day, because the greenhouse and the plants inside it will need repeated supervision. Unless some automated systems are used, it’s not very realistic for those who are away from home during the day. They discuss how vegetable seedlings need a constant environment and to avoid sudden changes in temperatures. In their greenhouse this is done by opening the windows based on the outside temperature. They talk about grow lights and how they should be put directly on top of the seed tray initially and slowly elevated as the plants grow. This will prevent plants from becoming leggy as they attempt to climb to the lights. 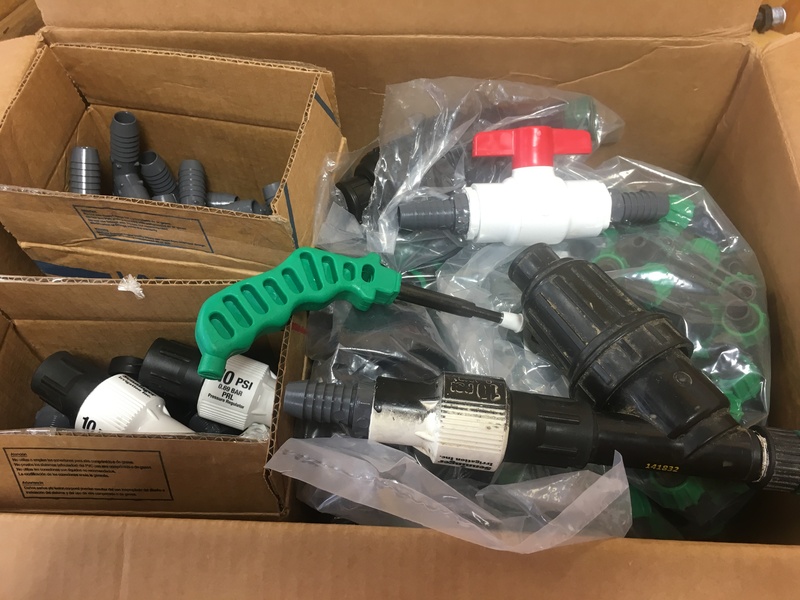 Travis explains that they don’t use an automatic watering system, but that those are extremely handy if you’re going to be away for a prolonged period of time. He also suggests having a spigot at the greenhouse to better utilize a fertilizer injection tool like their Brass Siphon Mixer. 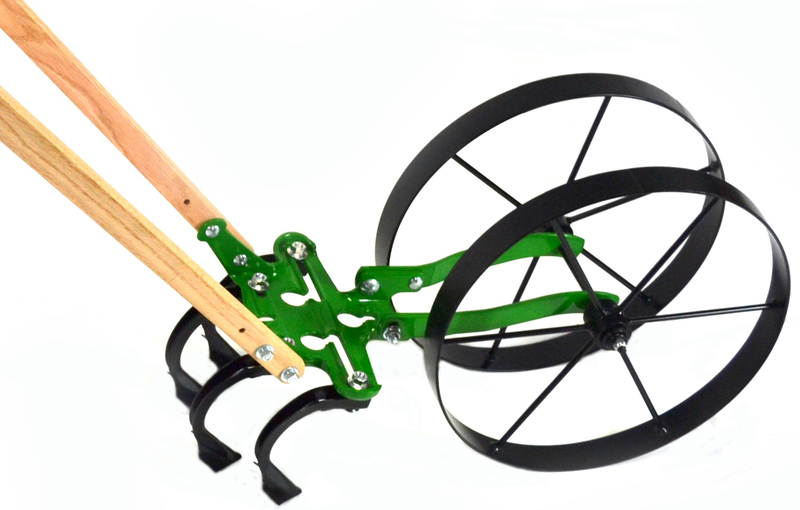 This tool allows you to easily water and fertilize vegetable seedlings simultaneously. On the Show & Tell segment, Greg has some English peas that are maturing in his garden. He mentions that the plants are loaded with blooms and he’s been harvesting the pods as they are ready. They explain that English peas from the home garden taste so much better than those bought at the store, and that they are also great to eat raw. Travis brought a few Bolero carrots from his garden. They are not as large as he would like yet, but they are slowly getting there. They also discuss the taste difference between homegrown carrots and those purchased at the grocery store. On the Q & A segment, they answer questions about corn ear worms and suggested crops for a first year vegetable garden. Greg explains that planting early is one of the first keys to success against corn ear worms. Travis also mentions that applying Spinosad Garden Insect Spray to the silks and tassels a couple times a week will also take care of the problem. For a first year vegetable garden, Travis recommends using the KISS principle — Keep It Simple Stupid. He explains that one should strive to do 3-5 crops really well versus doing 10 crops unsuccessfully. He suggests growing potatoes, beans and squash — crops that are relatively easy to grow. On this week’s episode, the guys talk about corn varieties for sweet and field corn. They begin by discussing the different types of sweet corn which are indicated by the genes present. There are three main sweet corn categories based on the genes they have — su (standard), se (sugary extender) and sh2 (supersweet). There are also varieties with combinations of these genes, which is the case with the Honey Select variety. The su, or standard, varieties include those older cultivars such as Silver Queen, Silver King and Stowell’s Evergreen. These varieties have more starch and less sugar as compared to the se and sh2 varieties. The se, or sugary extender, varieties include cultivars such as Ambrosia, Peaches and Cream and Incredible. The sh2, or supersweet, varieties have the highest sugar content and store the longest, but are the most finicky when it comes to germination and planting depth. Greg recommends that beginner gardeners go with one of the su varieties, but that he has grown many of the se varieties in the last few years with great success. They also talk about their field corn varieties which include Jimmy Red, Blue Hopi, Truckers Favorite and Hickory King — all of which are great for grinding into corn meal and grits. On the Show & Tell segment, they sample a couple beets from Travis’ garden. Travis mentions that a customer recently asked him about the taste difference between red and golden beets. To help answer the question, he brought a Merlin beet and a Touchstone Gold beet from his garden. After sampling, they both agree that the Merlin beet has a sweeter flavor and higher sugar content, but that they are both delicious and fun to grow. On the Q & A segment, they answer questions about pickling okra and planting asparagus or strawberries. Greg brought a book called “The Pickled Pantry” and agrees to send it to the guest who asked the question. He mentions that the book contains several great pickled okra recipes that he’s tried with great success. Travis explains that they have several beds of asparagus growing behind the warehouse, and that they also have a couple asparagus growing videos on their YouTube Channel. On this week’s episode, the guys talk about vegetable garden design and what they’re planting in their spring gardens. Travis has a sketch of his new 1/4 acre garden plot that they prepared using a tractor harrow and chisel plow last weekend. He mentioned that he will still need to till the area once, but it should be ready to plant after that. They discuss how they prefer a garden design with subplots, as opposed to having one large continuous garden. The subplot design makes it easier to compartmentalize certain crops and makes it easier to practice proper crop rotation. Travis mentions that his new garden area consists of six subplots that are each 30′ x 35′. Greg shows a sketch of his garden area where there are 7 subplots that vary in size slightly. They both talk about the importance of having walkways between the plots, and they prefer grass walkways over wood chips. On the Show & Tell segment, they share a bulb of raw kohlrabi from Travis’ garden. Travis mentions how he prefers to eat the kohlrabi raw, but that it also tastes great when cooked. They discuss how they’ve recently started pepper, tomato and eggplant seedlings for spring. Greg also talks about a new product in their seed line, Wynne Peanut. He explains that this is an improved variety with excellent disease resistance, high oleic acid content and great storage potential. On the Q & A segment, they answer questions about tomatoes splitting and tomato trellising stakes. Greg mentions that tomatoes will split as a result of excess moisture or irregular watering. He suggests that drip irrigation allows for more consistent watering. But if the excess water is a result of rainfall, there’s not much you can do. He does explain that the hybrid, round varieties are less susceptible to splitting as compared to the heirloom varieties. Travis states that he prefers t-posts and wooden stakes for his Florida Weave tomato trellising. 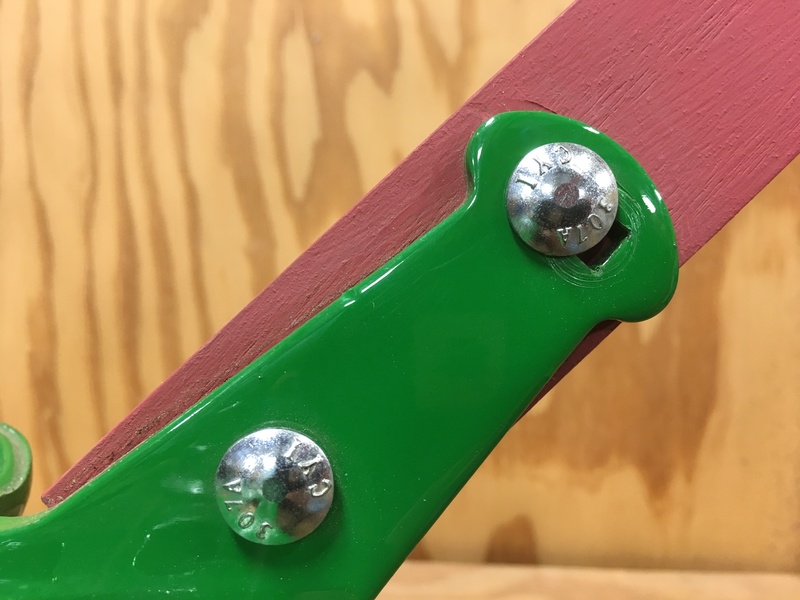 While the t-posts are a bit of an upfront investment, the wooden stakes can be easily found and will last for several years before needing replacement. On this week’s episode, the guys talk about the best gardening gifts under $20 for the holiday season. The first one they show is the Carrot and Potato Washing Brush, which is an excellent vegetable brush for harder-skinned gardening harvests. This brush is made in the USA and very high-quality. The second stocking stuffer is the Hoss Garden Planner, which provides planting dates, plant spacing, row spacing and even companion planting suggestions for a wide variety of vegetable crops. The next gardening gifts include Wooden Garden Labels and the Farmers File, which is great for keeping hoes and other hand tools sharp. Greg then shows the Corn Silking Brush, which is hard to find but very useful for removing the silks on fresh sweet corn. Travis shows one of his favorite tools for pickling vegetables, which is the Pickle Packer vegetable tamper. The last gardening gifts under $20 include Cotton Butcher String, the California Knife and the Handy Twine Knife, which are all especially handy to have around the farm and garden. 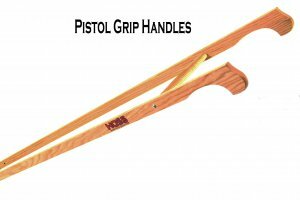 They also discuss some of their favorite gardening gifts that are not available on the Hoss Tools site. These would include Muck Boots, Foxgloves, a Buck pocket knife, Row Cover and a Filson wax canvas hat. On the Show & Tell segment, Greg has a head of broccoli that came from Travis’ garden. Travis mentions that this is the Green Magic variety, which is especially heat-tolerant compared to other standard broccoli varieties. He mentions that they will soon carry two varieties of broccoli, Green Magic and Arcadia. While Green Magic is especially heat-tolerant, Acadia performs well in cool weather when soil moisture tends to be higher. On the Q & A segment, they answer a question about a 40 year old fig tree ceasing production. Greg mentions that disease can sometimes cripple old trees, but that he would still have hope for it. He recommends pruning all the old, dead wood and performing a drastic pruning to the new wood. On this week’s episode, the guys talk about fig varieties and how to propagate new trees from existing ones. They talk about the different flavor profiles that can be present in a given fig variety. These can include berry, honey or sugar. Berry figs have more of a strawberry or fruity taste and tend to have a purple or red pulp. Honey figs have a caramel or molasses flavor and tend to have a golden pulp with yellow skin. Sugar figs have a basic, sweet sugary taste with a slight tannin flavor and will have a brown or amber pulp and dark skin. All fig varieties can be a combination of any of these categories, so the flavor scale is more of a continuum than a specific classification. Greg talks about open-eye versus close-eye figs and mentions how the close-eye trait is an adaptation that protects the figs from insects and makes the fruit more palatable. Travis mentions that figs are parthenocarpic, meaning they don’t require fertilization to produce fruit. The fig, in fact, is simply an collection of unfertilized female reproductive organs. They also discuss the work done at LSU where many improved fig varieties have been developed over the years and released to the public. On the Show & Tell segment, Greg has a satsuma orange that he got from a neighbor’s tree. He explains that these types of citrus can be grown well in the deep south as long as the winters aren’t too cold. Travis brought a beet to taste test on the show. 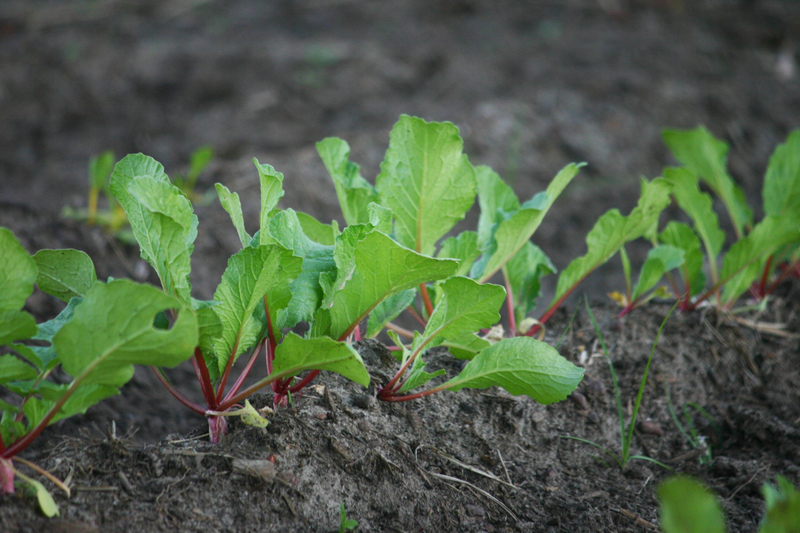 The beet is the Merlin variety, which has a very high sugar content compared to other red beet varieties. He also has a purple kohlrabi bulb and they sample that as well. Kohlrabi is a great vegetable that’s easy to grow and has excellent taste raw or cooked. On the Q & A segment, they answer questions about drip irrigation and Greg’s hat. They explain the crops for which they prefer drip irrigation, and those that they prefer to use overhead irrigation. Travis uses more drip irrigation than Greg, so it tends to be a matter of personal preference with some crops. Greg mentions that his hat is a Filson. It is a waxed canvas which can get hot in the warmer months, but is the perfect hat for winter. On this week’s episode, the guys talk about planting and growing onions. They talk about the difference between short-day, intermediate-day and long-day onions and how you can determine which type is best for your area. They also discuss the varieties that have worked well for them which include Texas Legend, Yellow Granex, Southern Belle Red and Red Creole. Greg and Travis discuss how they like to plant their onions thick and thin later when harvesting some as green onions. Travis mentions that growing onions can be broken into two phases — the foliage stage and the bulb stage. He explains that you want to grow as much foliage as you can, which in turn will create nice, large bulbs during the latter stages of the plant growth. They also talk about fertilizer needs for onions. They mention that onions need a complete fertilizer with phosphorous and potassium initially, but then mostly nitrogen throughout the rest of the foliage stage. On the Show & Tell segment this week, they talk about some radishes that were just harvested from Travis’ garden. Greg mentions that he recently planted several rows but is concerned about the heavy rains affecting the germination. Travis also explains the difference between multiform and monogram beet seed, and the need for thinning when using multiform beet seed. He prefers to grow beets from transplants because he can thin in the greenhouse versus thinning in the field. On the Q&A segment, they answer questions about phosphorous and glyphosate. Greg explains the different sources for adding phosphorous to garden soils, which include soft rock phosphate, hard rock phosphate, bone meal and triple phosphate. He mentions that soft rock phosphate would be his preferred organic solution, but that the inorganic forms work very well also. Travis explains that glyphosate will not kill mature weed seeds and is only engineered to kill the plant. On this week’s episode, the guys talk about planting carrots. They start by discussing the four different types of carrots that are defined mostly by their shape. The Danvers type is the traditional “bugs bunny” carrot that has broad shoulders and tapers down to a pointy tip. The Nantes type, which is Travis’ favorite, is more cylindrical with a blunt end. The imperator type is slender and long and would be best suited for softer, well-drained soils. Finally, the Chantenay type is a short and stubby carrot that would be best suited for harder, clay soils. Travis mentions his favorite varieties to plant which include Miami, Bolero, Yellowstone and Purple Haze. Greg talks about some of the mistakes he has made in the past when planting carrots. These would include not planting them thick enough and not having enough patience for germination. On the Show & Tell segment this week, Greg talks about his sweet potato crop that he recently dug. He has two really nice sweet potatoes that he brought to show the audience. 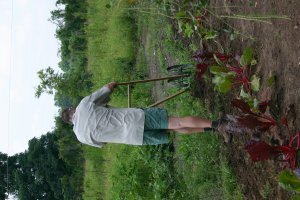 He mentions that it is probably the best crop he has ever grown and that they will have sweet potatoes to eat for many months. Travis provides an update on getting onion plants from Dixondale Farms and mentions that it looks like it will be the end of November before they will ship onion plants. On the Q&A segment, they answer questions about no-till farming and ants in the garden. Travis mentions that true no-till farming can only be done with heavy commercial equipment because it’s tough to penetrate uncultivated soil with hand seeders. And although many market farmers claim to be “no-till,” they are actually minimum till. Greg and Travis prefer minimum till and only use the tiller when removing crop debris or leveling the soil. For ant control, Greg mentions that there are many toxic solutions on the market. But for use around the food garden, he prefers to use something like the Monterrey Ant Control which has non-toxic ingredients. On this week’s episode, the guys talk about soil chemistry and the importance of having the correct soil pH. They define pH as the concentration of free hydrogen ions and explain how the pH scale works. Most vegetable annuals prefer a soil pH that is just slightly acidic, usually around 6.5. They talk about factors that can lower soil pH, which include rainfall, addition of fertilizer and certain cover crops. Greg talks about the importance of performing periodic soil tests to keep an eye on the soil chemistry. While soil pH can be easily raised with the addition of lime, it is extremely impossible to lower pH if you get it too high. That’s why it’s important to have a soil test so that the correct amounts of any pH adjusting material are added. Finally, they discuss the important of macronutrients like nitrogen, phosphorous, potassium, calcium and sulfur. If pH is incorrect, then the availability of these nutrients will be affected. On the Show & Tell segment this week, Travis talks about his recent sweet potato harvest and brings an extremely large sweet potato to show the audience. He mentions several techniques he tried this year that seemed to work well on his sweet potatoes. They also talk about the Rattlesnake pole beans growing in Travis’ garden. These have been a very prolific crop thus far and are very appealing to the eye because of their purple color. On the Q&A segment, they answer a question about composting and whether it should be applied to the entire garden or just where the plants are going to be. Travis mentions that compost can serve two purposes — to improve the workability of the soil and also to provide nutrients. He also mentions that most composts are carbon-based, while they use mostly manure-based compost which has much more nitrogen. 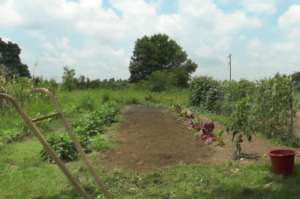 The carbon-based composts may be applied to the entire garden area as a way to amend or improve the soil structure, while the manure-based composts are typically only applied along the row due to the high nitrogen content. On this week’s episode, the guys discuss growing cover crops to improve garden soil health. Hoss recently added a complete line of cool and warm-season cover crops on their website, and the guys are excited to share these with the audience this week. Growing cover crops has many benefits including nitrogen fixation, soil building, weed suppression, erosion control, pest and disease suppression among others. They discuss the five cool-season cover crops that should be planted in fall, giving the crops enough time to establish before winter frost arrives. These include crimson clover, hairy vetch, Austrian winter peas, winter rye and tillage radish. Clover, vetch and winter peas are all great nitrogen-fixers which sequester nitrogen from the atmosphere and add it to your garden soil. For harder, clay soils, the guys recommend using tillage radish to aerate hard soils and improve drainage in areas that hold too much moisture. On the Show & Tell segment this week, they talk about their sweet potatoes that are still growing. They planted these in the middle of June and sweet potatoes usually require about 100 days to maturity. However, their plants were fairly weak when planted, which may delay this time to harvest. Travis brought a few small ones that he dug and mentions that they probably still need another 30 days or so to get larger. Travis also shows a photo of his Ambrosia sweet corn that was recently side-dressed with Chilean Nitrate and hilled with the High Arch Wheel Hoe. Greg shows a photo of his Pro-Cut Sunflowers that have started to bloom and are adding lots of color and pollinators to his fall garden. On the Q&A segment, they answer questions about blood meal and baby lima beans. Greg mentions that blood meal is a fast, organic nitrogen source that can be used for heavy feeders like cabbage. He also mentions that he would probably not use it when close to harvest time. Travis addresses the baby lima bean issue and mentions that baby lima beans are a specific variety that have been bred to produce smaller beans. On this week’s episode, the guys discuss their favorite fall garden varieties that they’re growing this year. The crops include broccoli, cauliflower, Brussels sprouts, kale, lettuce, collards, beets, kohlrabi, cabbage and mixed asian greens. Their favorite variety of broccoli is called Green Magic and they like it because it is very heat-tolerant and does well planted early in fall. They do mention that broccoli should be harvested before it gets too “seedy”, as it is not very palatable once that happens. For cauliflower, their preferred fall garden varieties include the Denali variety for a white cauliflower. Last year they tried the purple cauliflower variety called “Graffiti” and it did really well up until the first frost. On the Show & Tell segment this week, they talk about the Christmas Lima Beans that Travis has growing on a panel trellis in his garden. These are a speckled, running butterbean variety that has been very prolific when grown in previous years. The seed has a red and white variegated color that turns grey when cooked. These beans preserve well, dry well, and are also great for cooking fresh. Compared to a traditional green butterbean, these have a nuttier flavor that is great in soups. On the Q&A segment, they answer questions about nut grass and choosing between the High Arch and Double Wheel Hoe. Nut grass can be one of the most persistent and annoying weeds in a vegetable garden. Travis mentions that it can be controlled by “aggravating it to death,” which simply means frequently cultivating a few times a week. He prefers to alternate between the cultivator teeth and the sweeps on the Wheel Hoe. Greg distinguishes between the High Arch Wheel Hoe and the Double Wheel Hoe. He mentions that the High Arch Wheel Hoe would be his preferred choice because of the versatility it offers with cultivating and weeding attachments. On the Show & Tell segment this week, they talk about the crops they’ve been planting for fall. Travis has just planted a row of Rattlesnake Beans and Christmas Lima Beans on a panel trellis and they are just starting to emerge from the ground. Greg has a patch of Seminole pumpkins that are doing really well and starting to set small fruit. 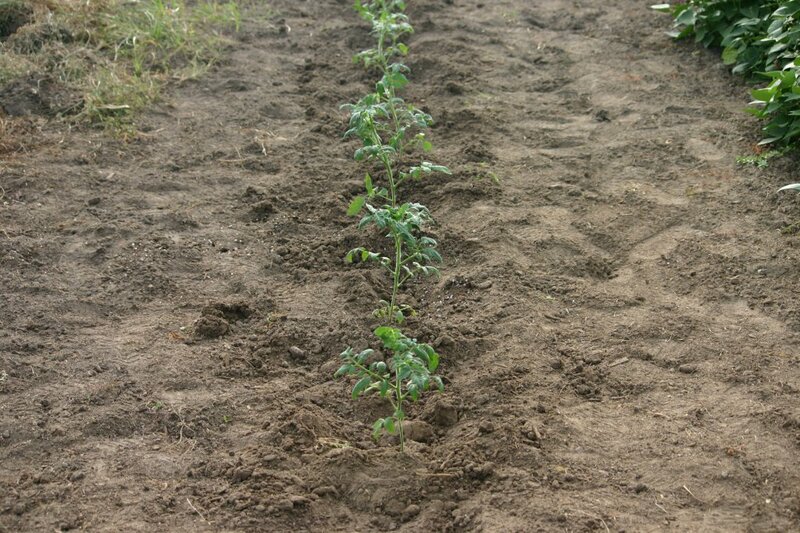 They also have recently planted fall potatoes for the first time and are very hopeful for that experiment. At their demonstration garden for the Sunbelt Expo, they’ve planted zinnias, cockscomb and okra thus far with much more to come. On the Q&A segment, they answer questions about drying Indian corn and seed tray planting technique. Greg mentions that he puts his field corn in the greenhouse under a fan to keep the weevils off the corn until it dries completely. Then he’ll put the corn in the freezer which keeps the weevils dormant. Travis answers a question about overcrowding seed trays and he explains that they’ve never had any issues with their heavy-duty seed trays. He has a flat of scarlet kale for demonstration that is beautiful and ready to be transplanted. On this week’s episode, the guys talk about growing vegetable transplants. They cover everything from the best seed starting mix, the best seed starting trays, how to seed the trays, how to fertilize once the seeds germinate and more! They discuss several different methods for growing transplants including soil blocks, cheap, flimsy seed trays, and quality seed trays that last a lifetime. They debut the new Premium Seed Starting Kits for fall. These kits allow you to grow over 300 plants in one complete kit. Travis also explains why organic fertilizers don’t work well on vegetable transplants because it takes too long to convert the organic sources to a usable form of nitrogen. As a result they recommend using a conventional fertilizer like 20-20-20 to get fast results and keep plants happy. On the Show & Tell segment this week, they show a tray of zinnia transplants that are ready to be planted in their demonstration garden at the Sunbelt Ag Expo. They talk about how the root ball has developed nicely around the Pro-Mix seed starting mix. On the Q&A segment, they answer questions about cover crop planting frequency and the most problematic weeds in their gardens. Greg mentions that cover crops should always be cut and incorporated into the soil before going to seed. Therefore if spring crops are finished, you would need to plant a summer cover crop and follow that with a cool season cover crop in the fall. Travis suggests growing buckwheat or millet during the summer, mowing that and incorporating it into the soil, then planting some crimson clover in the fall. Greg mentions that his most problematic weeds include pigweed, nutgrass and crabgrass. Travis has a sample of some purslane from his garden and he explains that this weed is problematic for him because it doesn’t dry and die as easily as other weeds. Row by Row Episode 15: The Largest Onion Plant Grower in the U.S.
On this week’s episode, the guys air an interview with Bruce Frasier of Dixondale Farms. While at a meeting in Chattanooga, Bruce and Greg had a chance to sit down and record a conversation for the Row by Row Garden Show. Dixondale Farms is the largest onion plant producer in the United States. As Bruce explains, if you purchase onion plants for your garden, there’s a very high chance they were grown in Texas. Dixondale grows over 800 million onion plants per year, which include short-day, intermediate-day and long-day varieties. Bruce explains that the type of onion you grow will depend on your climate. Greg mentions that the Texas Legend is his favorite variety to grow, and Bruce provides some other great variety suggestions for those living in northern climates. Bruce also mentions that they’ve recently started carrying shallots and leeks which are fun to grow and great in soups. On the Show & Tell segment this week, Greg has some pickled beets that a friend gave him. 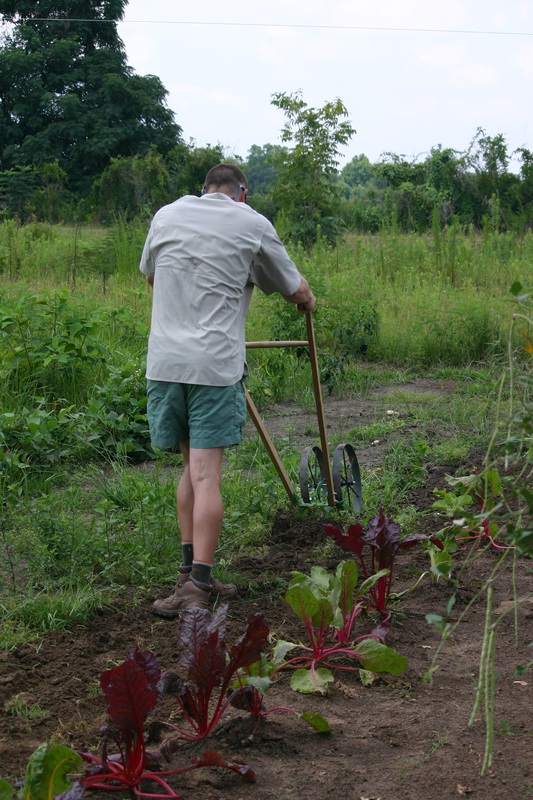 The guys have been growing beets consistently for a couple years now and they intend to try picking some this year. Travis explains that he prefers to transplant beets as opposed to direct seeding them into the garden. This is because he can control the germination easier and get more consistently-sized beets and greens. On the Q&A segment, they answer questions about weeding slow-germinating crops like carrots and cover crops for clay soils. For slow-germinating crops like carrots, Travis suggests several techniques that can be used to control weeds until the plants are able to outpace the weed growth. These techniques include flame weeding and wire weeding in addition to ensuring the weed seed bank is reduced as possible. For clay soils, the guys recommend rooted vegetable cover crops like purple top turnips and daikon radishes. Because their roots penetrate deep into the soil, they do a great job of making the soil more workable while adding quality organic matter. On this week’s episode, Greg and Travis talk about wheel hoe history from the Planet Jr. to the modern day Hoss version. The Planet Jr. was a staple piece of farm equipment in the early 1900s, but production of the Planet Jr. Wheel Hoe was ceased in the 1960s. 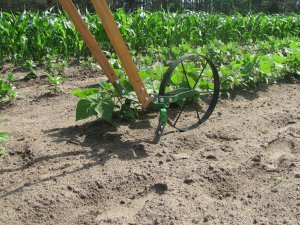 It wasn’t until the 21st century that the Wheel Hoe regained popularity as the ideal weeding and cultivating tool for small market farms and backyard gardens. Planet Jr. made a single wheel model and a double wheel model of the wheel hoe. 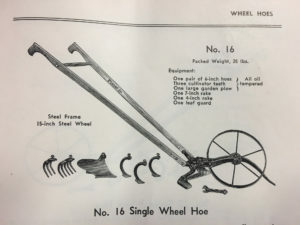 The double wheel model was similar to the modern-day version of the High Arch Wheel Hoe, with the extra clearance for taller crops like corn, beans or peas. Planet Jr. had a wide variety of attachments, many of which are still made by Hoss today. On the Show & Tell segment this week, the Greg has some pickled okra in a jar and mentions that it is one of his favorite snacks from the garden. He pickles the okra with two different recipes, a sweet version and a spicy version. Travis talks about some of the eggplant varieties growing in his garden this year. He mentions that he grows the unique varieties as opposed to the traditional Black Beauty variety. He especially likes the Japanese style eggplant which are long and slender and are really great for frying eggplant chips. On the Q&A segment, they answer questions about pruning eggplant and nematode control. Travis mentions that he always prunes his eggplant mid-season because the plants get too wide. For nematode control, the guys suggest employing strategies of crop rotation, cover crops and solarization. Proper crop rotation of nematode-susceptible crops should be practiced so that the nematode populations don’t continually flourish. According to university research, cover crops of mustard are effective in reducing nematode pressure. In addition, solarization with a clear tarp can create enough heat to kill the nematodes. On this week’s episode, Greg and Travis talk about growing butterbeans, bush beans and pole beans in a vegetable garden. 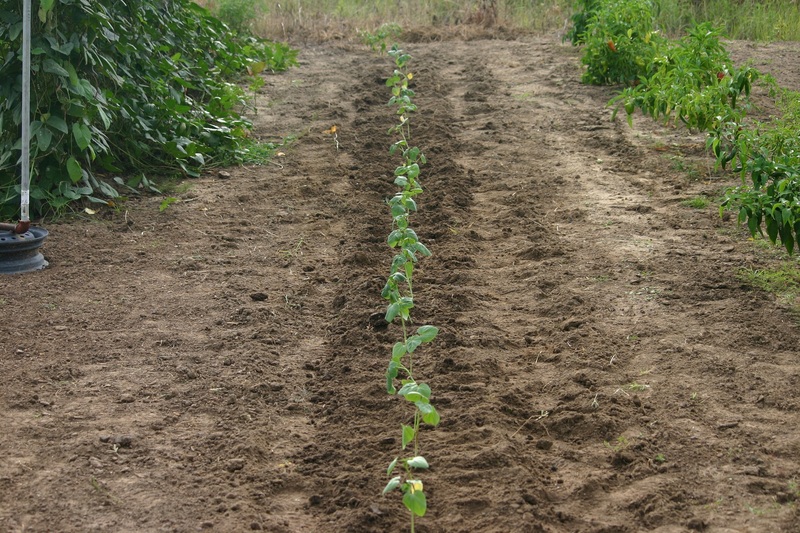 Travis mentions that he prefers to grow bush beans on a double row system with drip tape in the middle. This enables him to grow twice the amount of beans in the same amount of space that one row of beans would normally occupy. He references a YouTube video where he demonstrates this procedure. They talk about the different varieties of beans they’ve tried growing in the past including Blue Lake, Momentum, Kentucky Wonder and Provider. Of these varieties, Blue Lake seems to be the most popular variety for bush beans. Greg mentions that he prefers growing pole beans due to the ease of harvesting. For pole beans, he prefers the Kentucky Wonder variety. The guys also talk about growing climbing varieties of butterbeans. Greg is currently growing an heirloom variety that makes a darker bean, and they’ve both had great success with the Christmas Lima variety in past years. On the Show & Tell segment this week, the guys talk about the figs that they’ve been harvesting. The most popular variety is the Brown Turkey fig and that’s what most people have planted in their backyard. However, there are some improved varieties that have been developed through research at Louisiana State University. Greg recently planted some of these varieties and is excited to see how they do. On the Q&A segment, they answer questions about growing onions and how to remove drip tape. They mention that onions require heavy amounts of water and fertilizer. It is important that both of those are provided frequently during the early life of the onion plant as this will result in a larger bulb later. 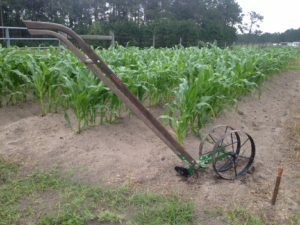 For removing drip tape, they suggest that it can be easily pulled up for almost every crop in the garden — the exception being corn. 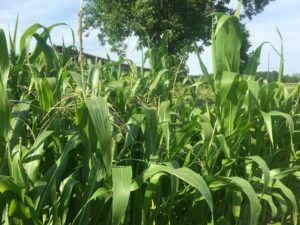 For corn, they recommend cutting the stalks with a machete and succession planting a crop that provides a heavy ground cover like sweet potatoes, winter squash or pumpkins. This will allow you to reuse the drip tape without removing it. On this week’s episode, Greg and Travis talk about growing pumpkins for a fall harvest. They discuss the differences between pie pumpkins (also known as winter squash), jack-o-lanterns and ornamental cucurbits like gourds. Pumpkins usually take about 90-100 days to mature. So if you wish to harvest pumpkins in early October before Halloween, July is the perfect time to plant. Growing pumpkins can be difficult in south Georgia because disease and insect pressure is typically highest during the months of July and August when pumpkins would be grown. As a result, Greg mentions that he likes to grow a couple different varieties that are more suited to deal with that level of insect and disease pressure. The first variety is called Seminole Pumpkin, which can be purchased from Sow True Seed. This variety was originally grown by the Seminole tribe in Florida and it has genetics that make it more resistant to fungal diseases like powdery mildew. Greg has also grown the Orange Bulldog variety in the past and it did really well. The Orange Bulldog is a variety that was obtained in South America by scientists at the University of Georgia and it also has genetics to deal well with pressures of a high heat/humidity climate. Other varieties that they like include the Fairytale and Cinderella pumpkins. On the Show & Tell segment this week, they talk about the spaghetti squash that was recently harvested from Travis’ garden. He grew a variety called “Angel Hair” that makes a smaller, more personal-sized fruit. This variety is very prolific and he harvested over 250 fruits from a single, 60′ row. On the Q&A segment, they answer questions about burying drip tape and planting in elevated rows or beds. Contrary to popular belief, drip tape was designed to be buried and most drip tape can be buried up to 6″. As long as the seed has proper soil coverage, the location of the seed relative to the tape is insignificant. You could put the seed directly on top of the tape and the roots will grow around the tape as the plants grow. Greg mentions that planting on elevated beds is only really necessary if soil drainage is a problem. Otherwise, created elevated planting surfaces tends to be unnecessary, extra labor. Row by Row Episode 8: Where Do Seedless Watermelons Come From? On this week’s episode, Greg and Travis talk about growing watermelons — seedless watermelons grown commercially and heirloom varieties on the homestead. Greg’s favorite variety to grow in his garden is the Crimson Sweet watermelon. This is a round watermelon that has an excellent, sweet taste. In previous years, he’s also tried other varieties including Orange Glo, which is an orange-meated watermelon that has a great taste as well. He mentions other popular varieties for the home gardener like Charleston Grey, Jubilee and Moon & Stars. They discuss the importance of using crop rotation and drip irrigation when growing any kind of cucurbit, especially watermelons. Although watermelons don’t typically experience significant insect pressure, they are very susceptible to fungal diseases. By practicing a 3-year crop rotation and reducing leaf moisture with drip irrigation, many of these fungal diseases can be kept under control. They also discuss how seedless watermelons are grown commercially. Seedless watermelons begin with a diploid watermelon seed that is treated with a chemical called colchicine. This chemical disrupts the cell division process which results in a tetraploid seed. When that tetraploid plant is grown in the presence of diploid plants (pollinators), the reproductive result is a triploid fruit that has no viable seed. This triploid fruit is the seedless watermelon. On the Show & Tell segment this week, Travis talks about the different varieties of peppers that he’s growing this year. The first one is a corno di toro type called Carmen, which is a sweet pepper that turns red upon maturity. This variety has been very prolific so far. He’s also growing Banana and Cubanelle varieties, which are also sweet peppers. For a hotter pepper, he’s growing the Serrano variety. Serrano peppers are slightly hotter than a jalapeño, although the heat of a pepper has a lot to do with how much water the plant is given. On the Q&A segment, they answer questions about purple hull peas and gardening on a hill. They mention that sandy loam soil is probably the best for purple hull peas and how they are a staple in the south. Over the years, however, the pressure from the pea curculio insect has made it almost impossible to grow them locally. If your homestead land is hilly like that seen in West Virginia, they suggest planting along the hill, not up and down the hill. Other suggestions including using drip irrigation for constant watering and building terraces/contours to retain water. On this week’s episode, Greg and Travis talk about some common garden myths and misconceptions. They explain the origin of these myths/misconceptions and discuss whether or not they have merit. The first common garden myth involves planting on a hill or an elevated planting bed. Greg mentions how this practice originated in large-scale agriculture and trickled down to backyard gardening. Planting on an elevated surface is an effective practice if you have drainage issues or problems with excess moisture. But if you don’t have those issues, planting on a “hill” is just an additional step that’s not necessary. They also discuss lunar planting which involves planting garden crops based on the 28-day lunar cycle. The proponents of lunar planting believe that it is advantageous to plant on the new moon or full moon because the gravitation force of the moon pulls water to the soil surface, increasing germination. Travis explains how lunar tidal cycles work and why small bodies of water don’t experience tidal forces like the open ocean. Based on this evidence, Travis concludes that soil moisture levels are not significantly affected by lunar cycles, and thus the lunar cycle has no effect on seed germination. Other common garden myths discussed on this week’s show include removing weeds by the root and compost tea. On the Show & Tell segment this week, they talk about one of Greg’s favorite foods — the tomato sandwich. They discuss the difference between the heirloom and hybrid varieties that they grew. While the Brandywine tomatoes have a nostalgic look and have a deeper red color, they can’t tell a huge difference in the taste compared to the disease-resistant Bella Rosa variety. They conclude that the Bella Rosa is their favorite tomato because of the disease-resistant package and superior taste. On the Q&A segment, they answer questions about using liquid 7 on sweet potatoes and how to control nut grass in the garden. While liquid 7 is an effective pesticide, it also can be fairly toxic and harmful to pollinators. The guys recommend some more environmentally-friendly solutions like Neem Oil or Take Down Garden Spray. Nut grass is an extremely persistent weed that can have an extensive root network. Control can be difficult, but frequent disturbance over time will eventually reduce the population. While some people use hogs, the Wheel Hoe is also a great tool for providing that repeated disturbance. 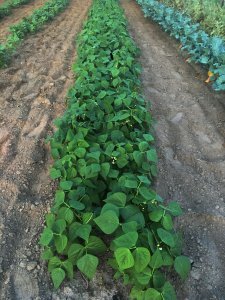 Row by Row Episode 6: Growing Sweet Potatoes – Varieties, Tips and More! On this week’s episode, Greg and Travis talk about growing sweet potatoes in a vegetable garden. They are a crop that grows well in very warm temperatures and should not be planted until the temperatures have warmed significantly in the early summer. Greg and Travis prefer to plant them after early spring crops are finished, so they’ll put them in a spot where Irish potatoes, broccoli, lettuce, etc., have been previously harvested. Along with okra, peppers and eggplant, sweet potatoes are one of the few crops that do well throughout the summer in south Georgia. Unlike Irish potatoes, sweet potatoes are grown from slips. These slips are grown commercially in big greenhouses or hoop houses. The slips, or “draws” as some old timers call them, are plucked from the tubers, bundled and delivered to the customer. Their preferred source for slips is Steele Plant Company in Gleason, TN. There are many different varieties of sweet potatoes that will differ in the color of the skin and the inside color. Over the years, Greg and Travis have tried the Covington, Centennial and Beauregard varieties. They prefer the Covington variety as it has been the most productive in side-by-side testing. On the Show & Tell segment this week, they talk about the Ambrosia sweet corn that they’ve been harvesting. Greg mentions that he picked a wheelbarrow load that morning and it was currently being creamed and put in freezer bags. Although the Silver Queen variety had been their favorite for years, they are really big fans of the Ambrosia variety. They talk about the wide range of sweet corn varieties and how certain genes can determine the sweetness and storage ability of each variety. The Ambrosia variety is a bi-color corn that is in the “se”, or sugary extender, category. On the Q&A segment, they answer questions about beginner gardening tools, the frequency of using drip irrigation and hilling plants in the garden. 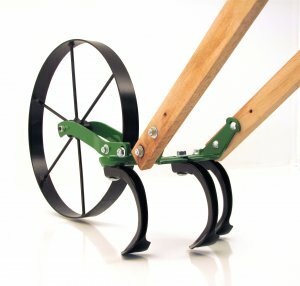 They recommend the Single Wheel Hoe as a great starter tool for a beginner gardener due to the versatility with many attachments. 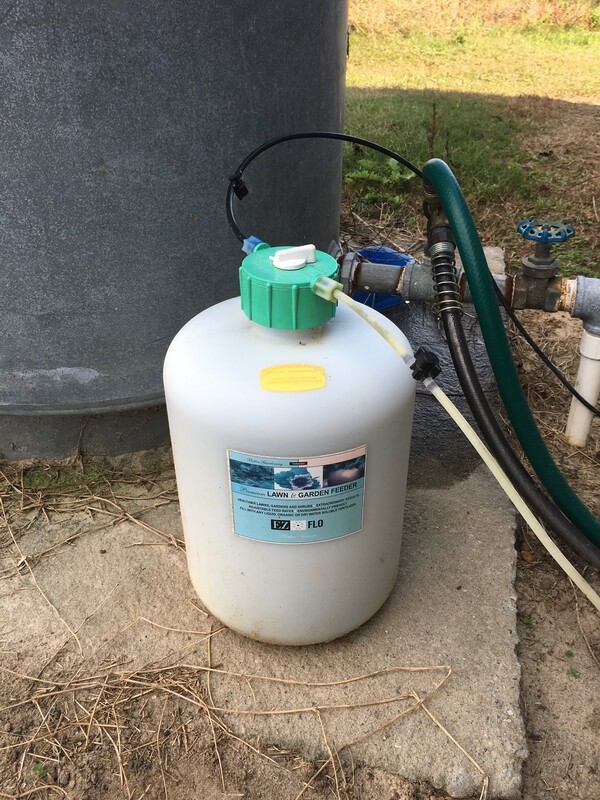 For a first year garden, they recommend 40′ x 40′ as a great starter size. They mention that they typically run their drip irrigation at least once every other day, assuming no rainfall. They discuss the importance of frequency with watering and making sure the garden plants don’t become stressed. Finally, they go through a list of the garden plants that perform best when hilled. In this week’s episode, Greg and Travis discuss growing squash in the vegetable garden. The most frequently grown varieties are probably the standard yellow crookneck and the black beauty zucchini. The popularity of these varieties if simply a result of availability. But there are many other varieties that have better flavor and higher productivity. They provide examples of prolific and disease-resistant varieties that they have tested and proven over the years. Some of these newer varieties include Tempest, which is yellow and Green Machine, which is a productive, uniform green zucchini. They differentiate between growing techniques for summer and winter squash. While summer varieties are a repeat-harvest crop, winter varieties are a one-time harvest crop. Winter squash will also need to be planted several weeks later than summer squash. Winter squash do have the benefit of longer storage, as most varieties can be stored for up to six months. Their favorite varieties include Delicata, which is an elongated squash that is very sweet and great for roasting. They also like the powdery-mildew resistant varieties of Acorn, such as TipTop PMR. For a spaghetti-type, they prefer the smaller varieties like Angel Hair that smaller, yet more prolific. In the Show & Tell segment, they talk about the bumper crop of potatoes that they had this year. Out of the 7 or 8 varieties that they trialed, the ones that performed the best were the Jelly and Blue Belle varieties from Irish Eyes Garden Seeds. Both of these varieties grew very large, uniform potatoes that exhibited excellent disease resistance. They plan on growing both varieties again next year and maybe eliminating the standard red potatoes from the rotation. In the Q & A segment, they discuss corn pollination from the male flower (tassel) down to the female flower (silk). They also answer a question about controlling ants on the homestead using natural and conventional methods. 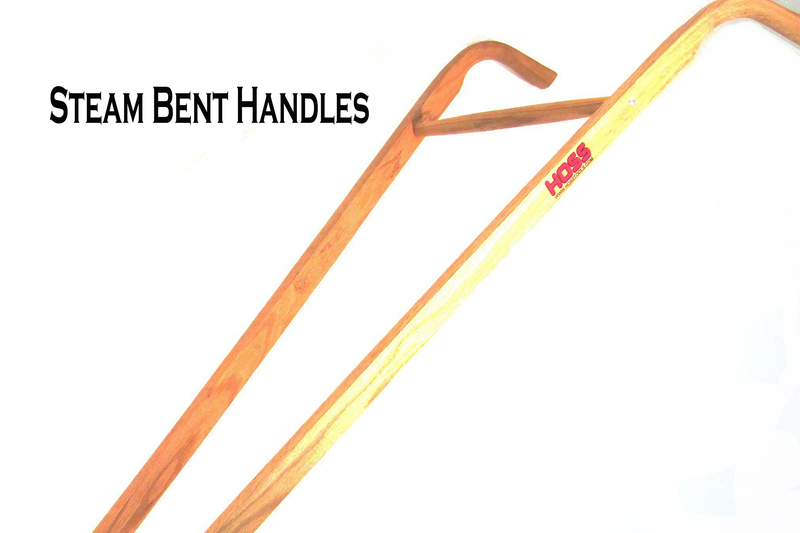 Here at Hoss Tools, we are firm believers in the FAD System for vegetable gardening. FAD is an acronym that stands for Furrow, Amend and Drip. If you do these three things every time you plant something in your vegetable garden, you’ll be on the fast track to success. Don’t be fooled by the name — this is not a “fad” that will be temporarily popular and short-lived. The FAD system is a proven technique that makes gardening easier and will drastically increase results. Let’s talk about each step in detail and the particular order in which they should be performed. 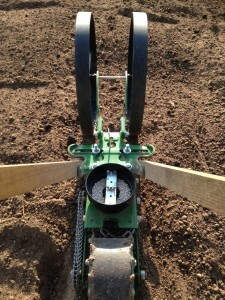 Creating a furrow lays the groundwork for the remaining two portions of the FAD system for your vegetable garden. The furrow marks the location of your row(s) where your crops will be planted. 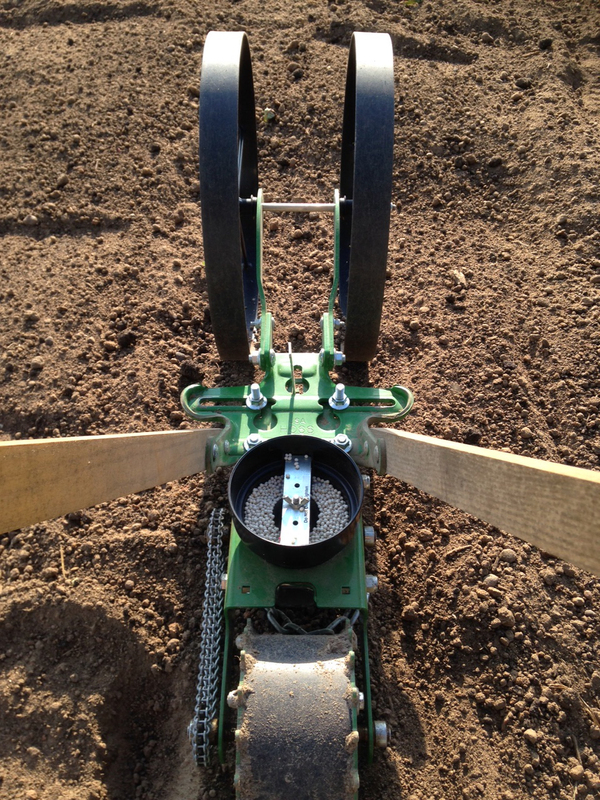 The furrow doesn’t have to be extremely deep — a furrow that’s about 4-5″ deep will suffice. 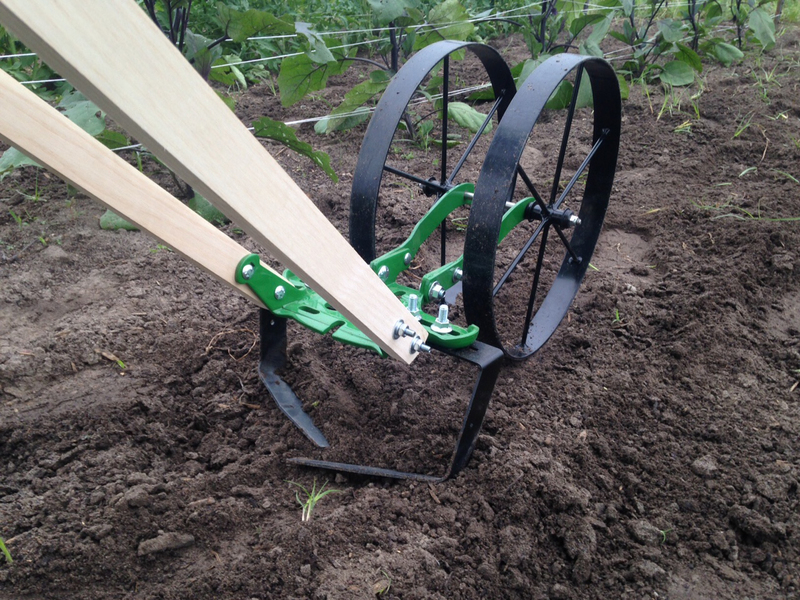 Our favorite tool for creating a furrow is the Double Wheel Hoe with Plow Set Attachment. 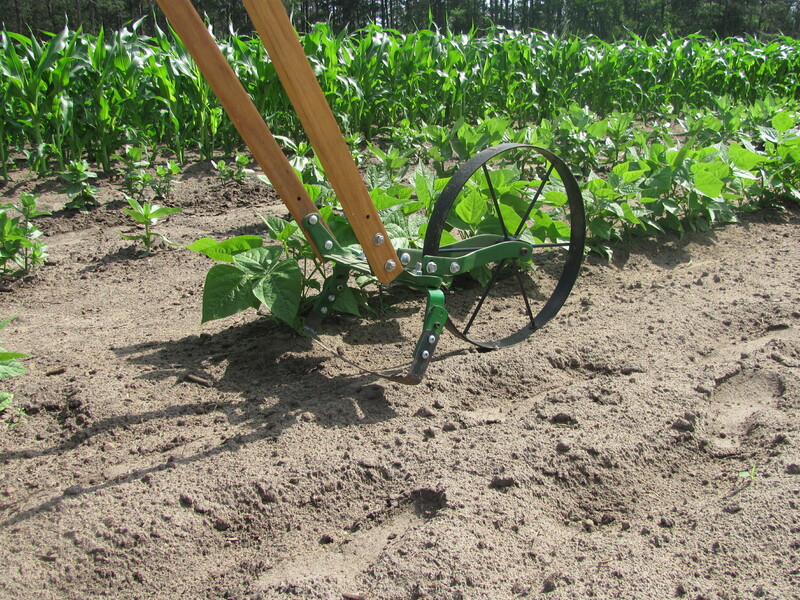 If you need assistance pushing a straight line with the Double Wheel Hoe, you can use a string ran between two stakes to help guide you along a straight-line path. Once the furrow has been constructed, it’s now time to amend that furrow with some quality compost. Instead of amending the entire garden with compost, we only amend the furrow where the seed/plants will be planted. This conserves compost by only placing it exactly where the plants can utilize it. Quality compost has many benefits in the vegetable garden. It adds organic matter which helps condition and soften the soil over time, it provides a fertile bed for the plants that will be soon growing in it, and it also can provide essential nutrients such as calcium which can help to prevent deficiencies such as blossom end rot. We recommend a compost with an animal-based component such as chicken manure or cow manure. 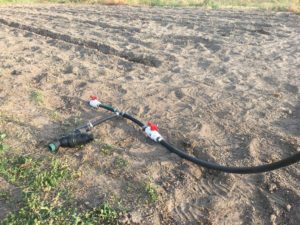 The final step in the FAD system for your vegetable garden is drip irrigation. 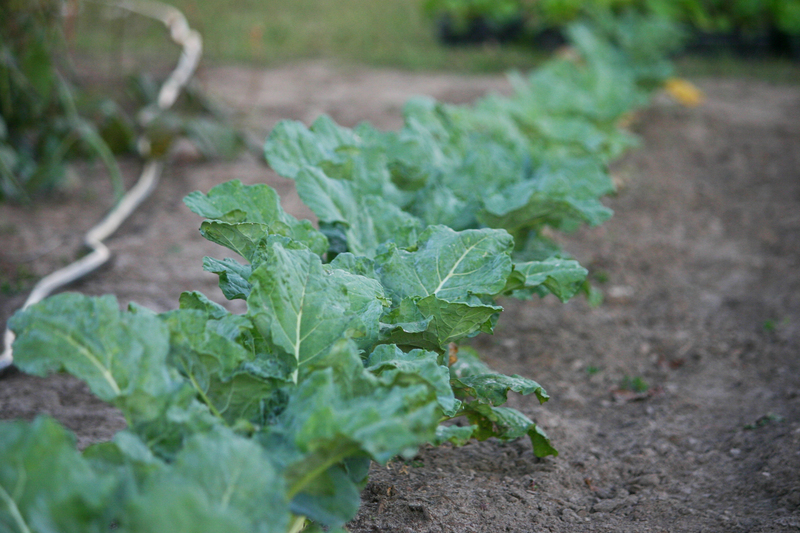 Drip irrigation is by far the easiest and most efficient way to water your vegetable garden. Drip tape places water exactly where the plants need it — at the roots. 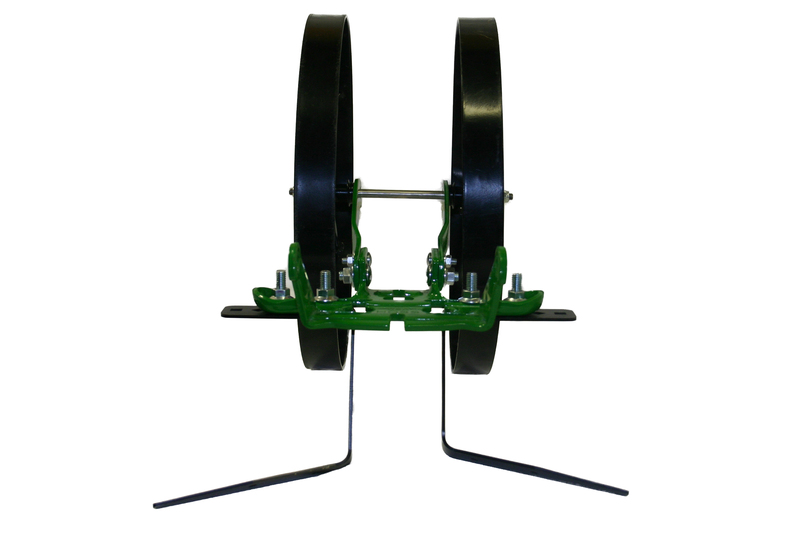 We recommend burying drip tape in the furrow with our Drip Tape Layer Attachment, which has many benefits. Burying drip tape virtually eliminates any source of evaporation that could result from laying the drip tape on top of the soil, so that all the water output is available for absorption by plant roots. Burying the tape also makes installation much easier because it is fastened in place by the soil on top and it can’t be twisted by the wind. Finally, burying the tape keeps any rodents from chewing into the tape that might be easily accessible on top of the soil. The FAD System is your best bet for long-term success in your vegetable garden. The compost will provide benefits to your plants throughout the entire growing season and the drip irrigation will provide efficient and effective delivery of water to your garden plants. If you’d like to see it in action, take a look at the Sweet Potato Planting video below where we implement all three portions of the FAD system for your vegetable garden. Overhead watering can be a pain. You have to move the sprinkler around the garden every few hours and you always end up watering areas outside the garden that don’t need watering. If the wind is blowing, you can forget a consistent watering pattern. Stop wasting water. Water your garden more effectively, consistently and conservatively with drip tape irrigation. Drip tape functions similar to a soaker hose, but much more reliably. Unlike a soaker hose that inconsistently emits water along the length of the hose, drip tape has emitters with specific spacing along the length of the tape. Our drip tape has emitters with a 12″ interval spacing, which works great for both transplants and direct-seeded crops. For transplanted crops like tomatoes, peppers and eggplant, you can use the emitter spacing to help determine where to place your transplants. For example, if you plant your tomatoes on 2′ spacing, you would just plant a tomato transplant on top of every other emitter. Drip tape is also more durable and doesn’t clog over time like a soaker hose tends to do. 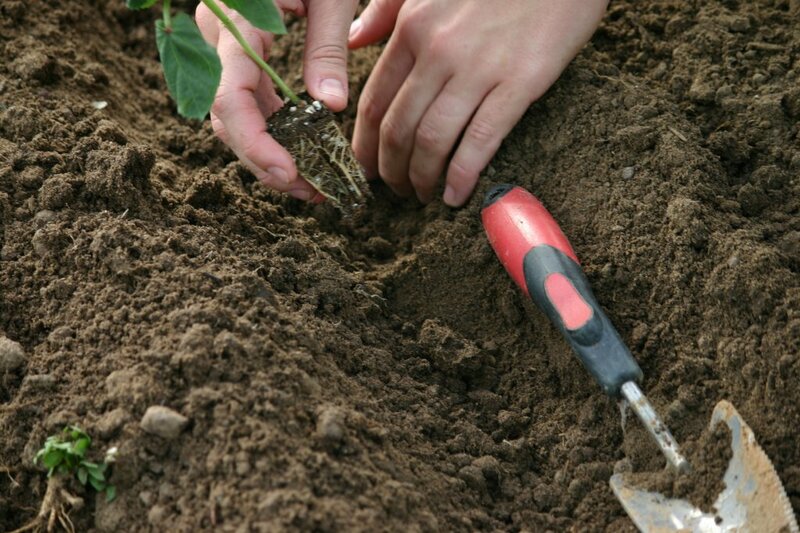 We recommend burying drip irrigation tape under the soil and planting directly on top of it. Burying the tape makes it easier to lay because the soil provides a downward weight on the tape, preventing it from twisting or moving as it would if it were on top of the soil. Burying also prevents rodents from chewing into the tape and creating leaks. And finally, burying the tape makes it easier to weed around your plants when they emerge because the tape is located directly under your plants. 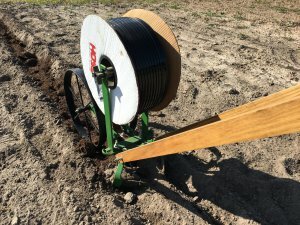 Our drip irrigation tape can be buried up to 6″ deep under the soil. Our drip tape is available in two different thicknesses, 8 mil and 15 mil. The 8 mil tape has a lifespan of one year or two growing seasons (spring and fall). This is ideal for annual plants in a vegetable garden where the crop rotation and plant spacing will change from one season to the next. The 15 mil tape has a lifespan of 5 years, which works great for perennials such as asparagus, blueberries, blackberries, etc. 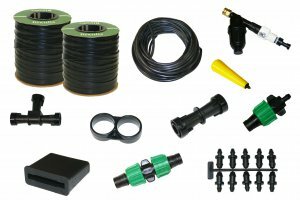 Both our 8 mil and 15 mil drip tape are available in convenient kits which include all the necessary components to establish a drip irrigation system. These kits include the necessary filter, pressure regulator, mainline tubing and enough fittings for 20 rows. Growing corn has always been a staple here in the south. We look forward to the time of year when tassels and silks form on the corn plants, because we know this means corn pollination is occurring and it won’t be long until we have fresh corn on the table. Corn is a heavy-feeding crop that requires quite a bit of water and nutrients to feed those tall plants and produce large, full ears of deliciousness. 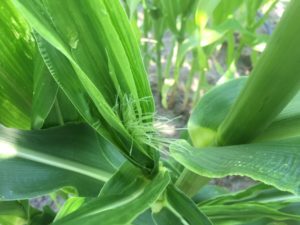 Adequate water in conjunction with proper corn pollination are the two essentials to producing beautiful ears of corn for summertime enjoyment. Corn is a self-pollinating plant. It produces a male flower, which is commonly referred to as a tassel, and a female flower, which is commonly referred to as the silks. In order for kernels of corn to be produced by the plant, the male flowers must pollinate the female flowers. The male flower is located at the very top of the plant whereas the female flower is formed along the stalk of the plant. The male flower contains the pollen, which is primarily spread by wind, that will be used to pollinate the female plant. When planting corn, it is important to plant at least three rows side by side to ensure adequate wind pollination. The female flower, or silks, are threadlike projections from the actual ear or cob of the corn. Each thread or silk represents an individual kernel on that particular ear of corn. Therefore, if the corn pollination goes as planned and each silk is pollinated, you will have a full ear of corn. If you have ears of corn that are not completely full of kernels, it is likely that you didn’t receive adequate pollination. 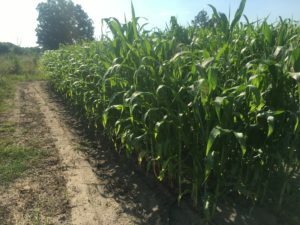 While some might think that inadequate corn pollination is due to lack of wind or pollen distribution, it is more often a result of water-starved plants and the timing of female flower development. The silks contain the most water of any part of the corn plant. So if your corn plants are water-starved, the female flower will be slow to develop. As a result, the male flower will develop much sooner than the female flower, and the pollen will have fallen to the ground by the time the female flower develops. 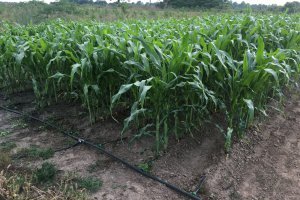 Providing enough water to your corn plants is very important because it helps maintain the rhythm of the development of the male and female flowers. Without any silks to be pollinated, the pollen on the male flower is wasted. Once corn plants become 4 to 5 feet tall, it can be difficult to provide enough water via an overhead source. Most of the water applied overhead will not reach the soil and will be lost to evaporation. Using drip irrigation for corn is a must here in the south. 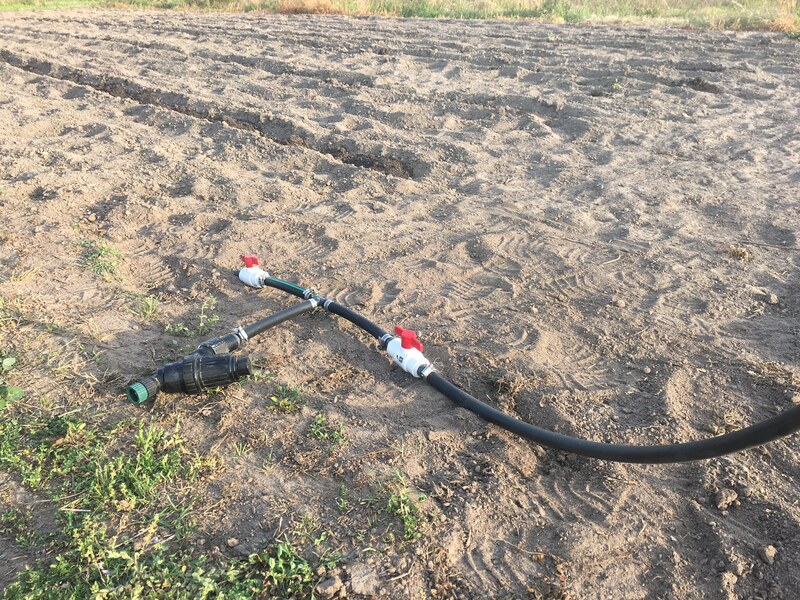 The drip tape irrigation allows us to put water directly where the plants need it. With the drip tape, we don’t lose hardly any water to evaporation and almost all the water we deliver is received by the plant. Consider using drip irrigation next season to ensure you get plenty of water to your corn plants so that the timing of flower development will be correct and you’ll have great, big ears of corn to eat in the summer. Over the years we’ve got our hands on a couple old Planet Jr catalogs that are quite a joy to peruse. This particular Planet Junior catalog was published in 1934 and includes a wide range of farm and garden tools. 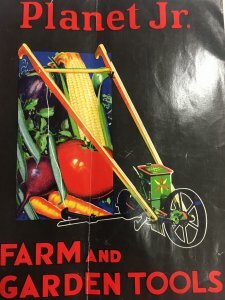 These catalogs are a great read because they’re written like a book with descriptions and guidelines for how to use every implement to help the user grow their own food. Although in black and white, the photos provide great detail for how the tools are intended to be used. 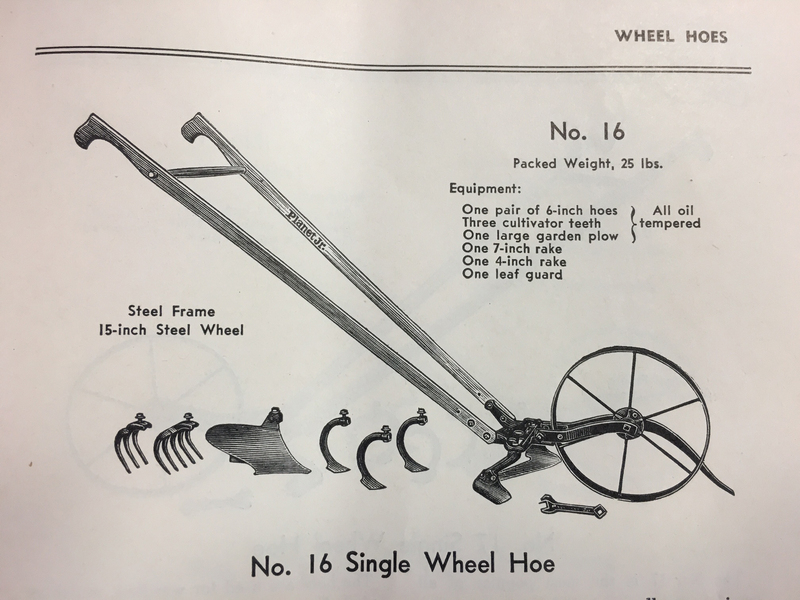 It’s incredible how a tool like the Wheel Hoe has stood the test of time and it is equally as useful today as it was 100 years ago. 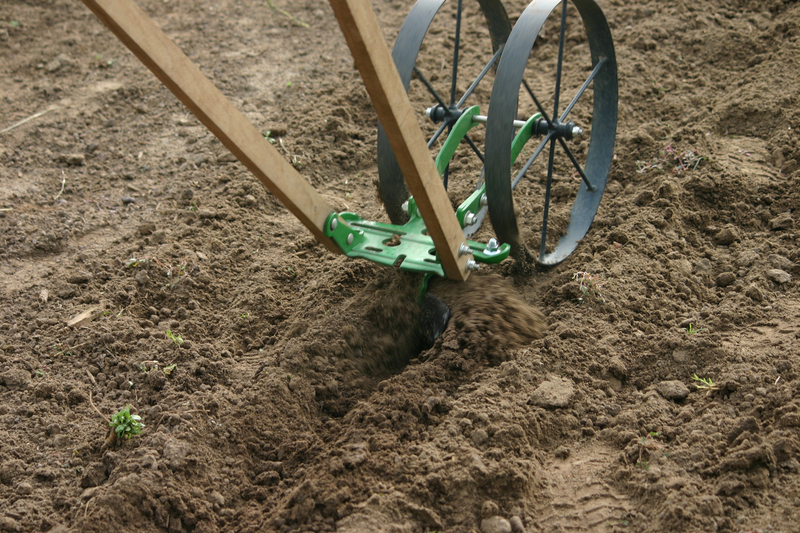 As the this catalog states, “Few gardens are too small to require a wheel hoe as it will save more than enough time and labor to pay for itself in the first year.” This couldn’t be more true. 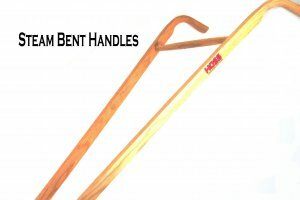 There’s just not another tool that you will find that allows you to do so much in your vegetable garden with little effort. This is also probably why the design has hardly changed at all in over 100 years of it’s existence. When we started Hoss Tools, we sought to design a Wheel Hoe that was very similar to the time-tested design of the Planet Jr Wheel Hoe. The only significant improvement we made was including oil impregnated bronze bushings into the wheels to improve durability. Our steel parts are also powder coated, but of course powder-coating wasn’t available in the early 1900s either. The Planet Junior Single Wheel Hoe was available in several different packages which included the No. 16, No. 17, No. 17 1/2, and No. 18. According to the catalog, “The No. 16 is the most completely equipped Planet Jr. Single Wheel Hoe. ” When this catalog was published, you could purchase a No. 16 Single Wheel Hoe for a whopping $8.50! And although the value of the dollar has changed quite a bit since 1934, the quality of this Wheel Hoe hasn’t. GMO – What does it really mean? I recently saw this photo posted on a friend’s Facebook page and it prompted my response. These types of GMO posts are all over the web and are generally of this variety — extremely misleading and confusing. Allow me to explain. The term “GMO”, which stands for genetically-modified organism, was originally coined to describe transgenic crop varieties. Transgenic varieties are genetically engineered by inserting a gene from an unrelated organism (usually bacteria) into the DNA of a plant species. The added gene gives the plant a certain characteristic that it would not otherwise have. Usually the characteristic is a resistance to a particular herbicide or disease. In the case of GMO-cotton, the plant is resistant to glyphosate (Roundup). This allows the grower to eliminate all weeds without damaging the cotton in the growing fields. In the post above, corn is the only crop in which a true-GMO or transgenic variety has been developed. 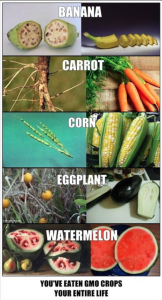 The other crops (banana, carrot, eggplant, watermelon) in the photo have changed over time through selective breeding and hybridization. This process involves taking two individuals of the same species and breeding them so that the offspring has desirable traits of both parent plants. 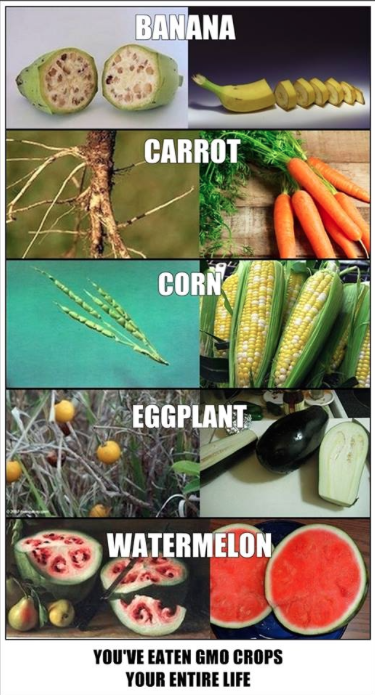 So yes, they all have been “genetically modified” to some extent — but the processes are completely different. Inserting an unrelated gene into a plant is quite different than breeding two plants of the same species. This photo is a perfect example of the plethora of misinformation you can find all over the internet regarding GMO and non-GMO food. We’re not here to promote or condemn GMO or non-GMO. But it is important that people are appropriately informed so they can make an educated decision for themselves and their family. We believe that the only way to truly know what’s in your food is to grow it yourself! Every year we like to draw a scaled, rough-sketch garden plan for our spring gardens. It’s not exact, but it does help us decide what to grow, where we will grow it and how much of it we will grow. Below are several reasons why you should do this too! Why Make a Garden Plan? It will give you an idea how much seed you will need. You will then know how much of each seed to purchase so you don’t waste money by buying extra seed that you won’t use. It will help you decide which irrigation supplies you will need for watering your garden. Since we use drip irrigation, the garden plan provides information as to how much drip tape we will need for the spring season. It will give you an idea of how much food you are going to get from your garden. This allows you to prepare and make room in your freezer(s) and pantries for the food you will preserve. So what things should you consider when planning your vegetable garden? Think about how much food you need for you and your family, and of course a little extra to give to friends. Think about how much food you need in the freezer or pantry to feed your family during the winter when the garden isn’t producing warm season crops. Think about which crops need to be harvested nearly every day (squash, tomatoes, cucumbers), which crops are harvested several times a season (peas, beans), and which crops will be a one-time harvest (corn, potatoes). 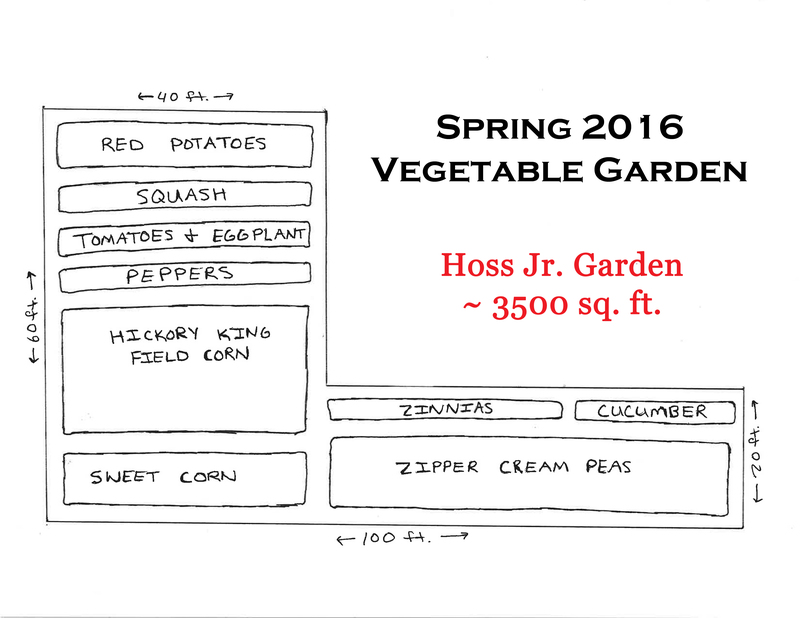 Below is the garden plan for our smaller, appropriately named Hoss Jr. Garden. For this particular garden, there are several crops we are not going to grow this spring because we have plenty in the freezer from last year. These crops include bush beans, butterbeans and okra. We are, however, growing quite a bit of field corn in an attempt to save money on our deer feeding costs throughout the year. Do what works for you! 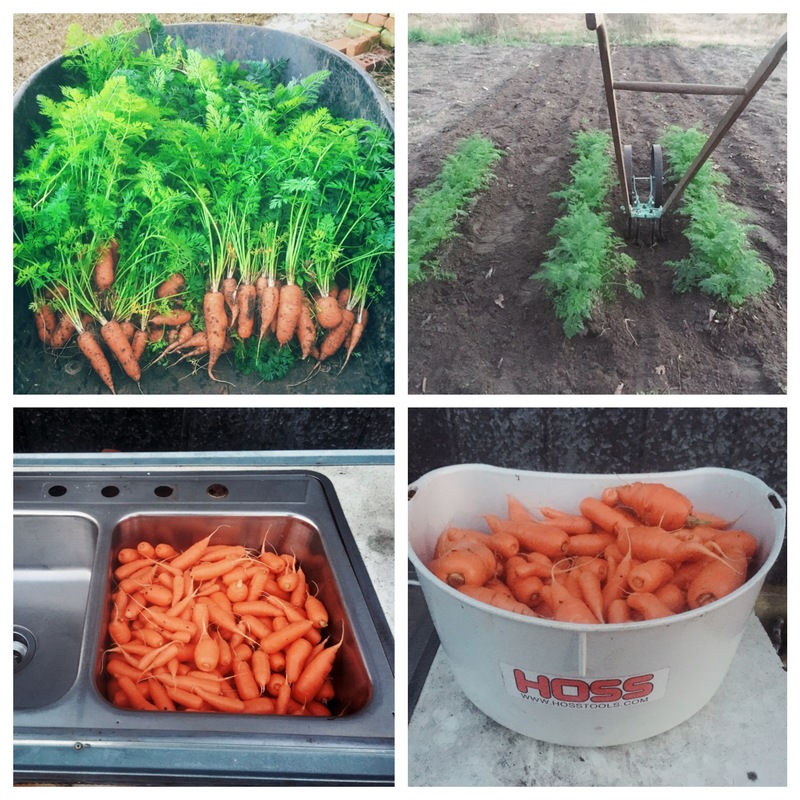 We had an exceptional carrot harvest this year using pelleted carrot seed! Carrots can be difficult to grow here in the south because of the prolonged warm seasons. These were planted in late fall and we started harvesting them early in January. 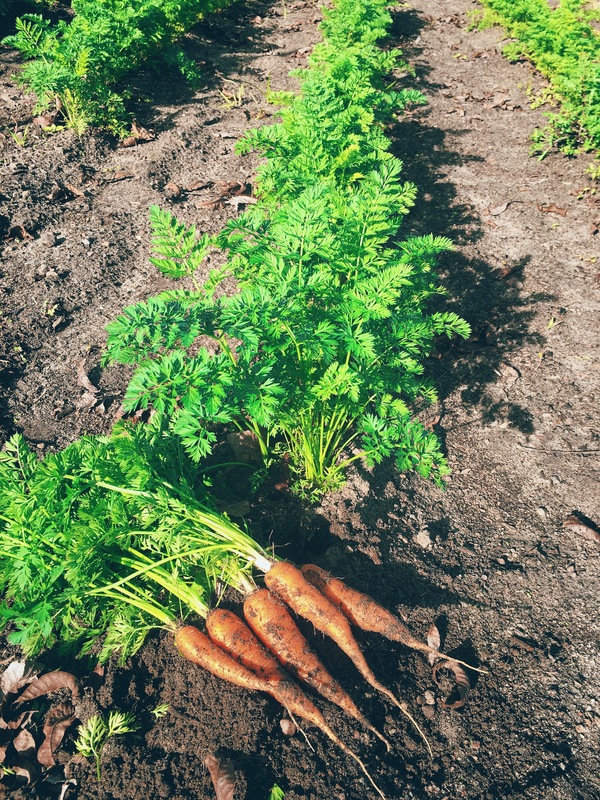 Although carrots typically store well, we keep them stored in the ground until we’re ready to eat them. It’s so nice to be able to go pull a few carrots for a snack or as part of a meal. We also blanched quite a few and put them in the freezer so we’ll have plenty of carrots to eat until next fall. 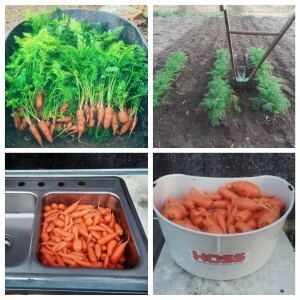 Whether you’re growing just a few rows of carrots or planting an entire hoop house, our precision Garden Seeders do a great job of planting pelleted carrot seed. Pelleted seeds are becoming increasingly more popular and more seed companies are developing pelleted versions of carrot, lettuce, beet and chard seed. Mechanical planters are not able to plant the raw versions of these seed types because the seeds are not uniform in shape. So the seed companies coat the seeds with an inert clay to make the seed round and uniform. Seed companies are now developing organic and hybrid versions of pelleted seeds. Once the seeds are made round, they will now accurately feed through a mechanical planter system. Pelleted Carrot Seed for Everyone! 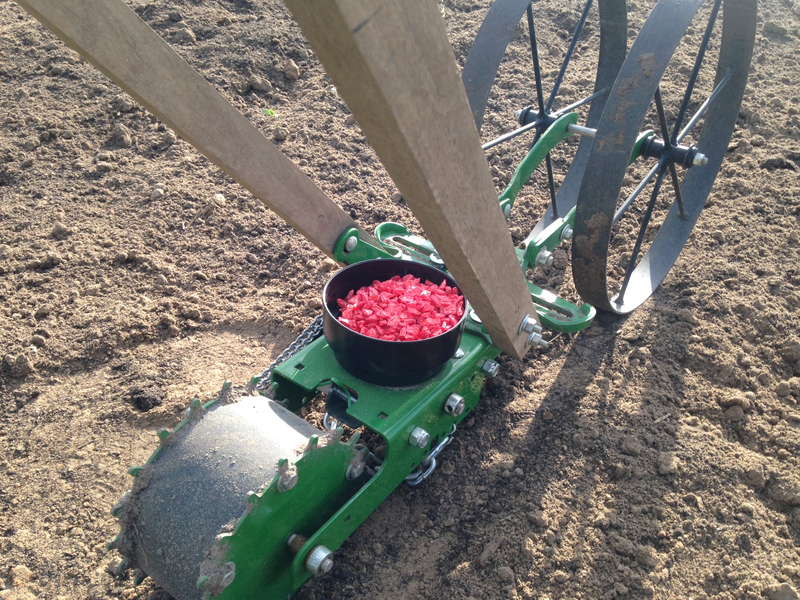 Pelleted seeds are great for everyone because they allow gardeners and farmers to plant more efficiently, precisely and accurately using a Garden Seeder as opposed to planting by hand. Every year more pelleted varieties are being developed, so you’re sure to find a pelleted variety you’ll like. If you haven’t tried pelleted carrot seed, we encourage you to give it a try! We’ve recently updated and improved one of our most popular Wheel Hoe Attachments, the Hoss Wheel Hoe Sweeps, to help you keep weeds under control in your vegetable garden. Weeding in a vegetable garden is a preventative practice. The easiest way to control weeds is to perform a light cultivation before weeds appear. A higher quality, zinc-plated steel that’s easier to sharpen. An extremely sharp blade that slices through the soil with ease, cutting out the weeds along the way. 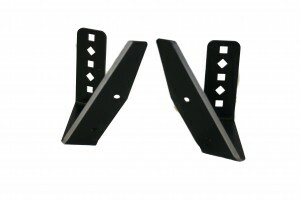 A steeper blade angle for increased displacement of weeds that are cut. More attachment holes so that a variety of configurations can be used. 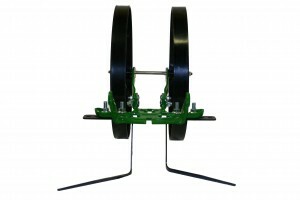 Hoss Wheel Hoe Sweeps are packaged as a pair with a left and right Sweep. The left and right Sweep have slightly different angles so that the blades may overlap without touching each other. 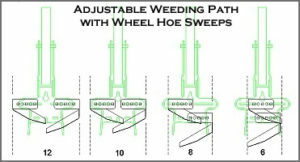 This allows you to adjust your weeding path width depending on your row spacing. 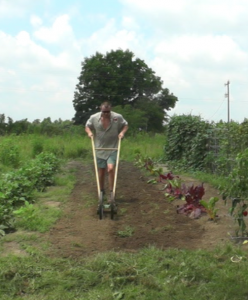 You can overlap the Sweeps for a narrow row spacing or you can extend them completely for a wide weeding path. Turn the blades inward (see top photo) and slightly overlap the sweeps to weed paths between rows. 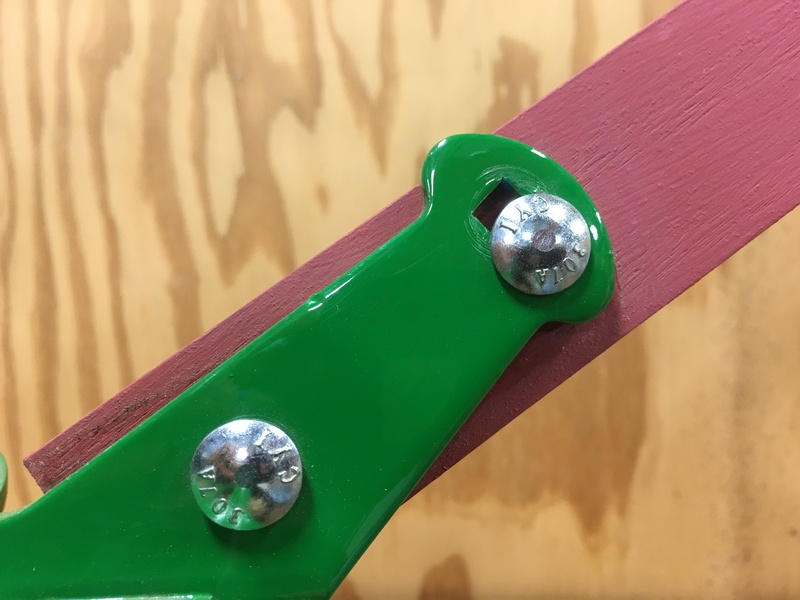 Turn the blades outward (see photo below) to straddle small plants and weed both sides of the plant with the sweeps in one pass. Attach one Sweep facing outward to cut weeds underneath the outreached foliage of plants. Use the Spreader Bar extension to further the distance between Sweeps or to extend the blade(s) beyond the tool bar of the Wheel Hoe. If you’ve never tried pepper jelly, you’ve got to read this. We always grow more than enough in our gardens. We love to grow so many different crops and varieties that we often end up with way too much produce. We freeze or can as much as we can eat and give a lot to family and friends. Because of the surplus, we are always trying to come up with new ways to preserve our harvests so that we have it through the entire year..
We ALWAYS have a surplus of peppers because we usually plant every variety we can find. We like to make lots of salsa and pepper jelly, so the peppers almost always get used. We like to make pepper jelly with different pepper variety combinations to achieve different levels of sweet and spicy, and to play with the beautiful colors the peppers provide. Our basic green pepper jelly recipe uses only bell pepper and jalapenos. This recipe is extremely easy and tasty! This year alone, we have made over 40 jars of jelly — some green, some red and some yellow. Our fall garden is now in full swing with a variety of crops which include some that were direct seeded and others that were transplanted from greenhouse start-ups. One of the first plots we started several weeks ago was our carrot, radish and beet area. 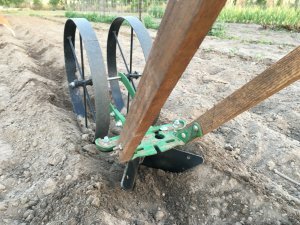 We used the Hoss Double Wheel Hoe with Plow Attachment to make hills and we planted 4 varieties of carrots, 4 varieties of beets, and 3 varieties of radishes. The carrot varieties we planted included two orange types, (Nelson and Sugarsnax 54), a white one (White Satin), and a purple variety (Purple Haze). The White Satin variety is performing the best while the Purple Haze variety has been the lesser of the four, with lower germination and very slow growth. We planted three varieties of radish which included a red (Shunkyo Semi-Long), a black (Nero Tondo) and a purple (KN-Bravo) variety. All of these are performing well and had excellent germination. The beets we planted were two red varieties (Cylindra and Red Ace), a white (Blankoma) and a yellow (Boldor). Of these beets the Red Ace and Blankoma varieties have performed best, while the Boldor variety had sub-par germination and the Cylindra variety did not germinate at all. 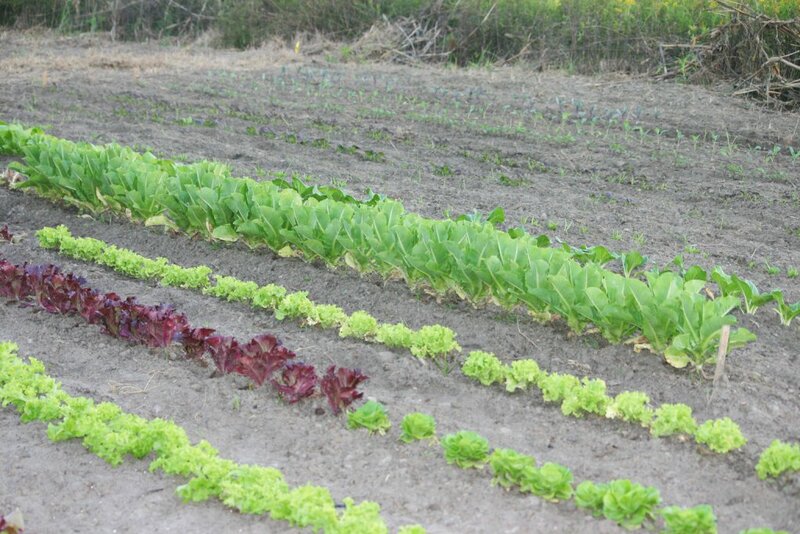 We have several rows of lettuce that we transplanted from greenhouse start-ups. These are all heat tolerant varieties that are able to withstand the south Georgia heat that tends to persist late into the year. We have Romaine, Cherokee (red), Salanova (green and red), Bibb and Butterhead (green and red) varieties transplanted. 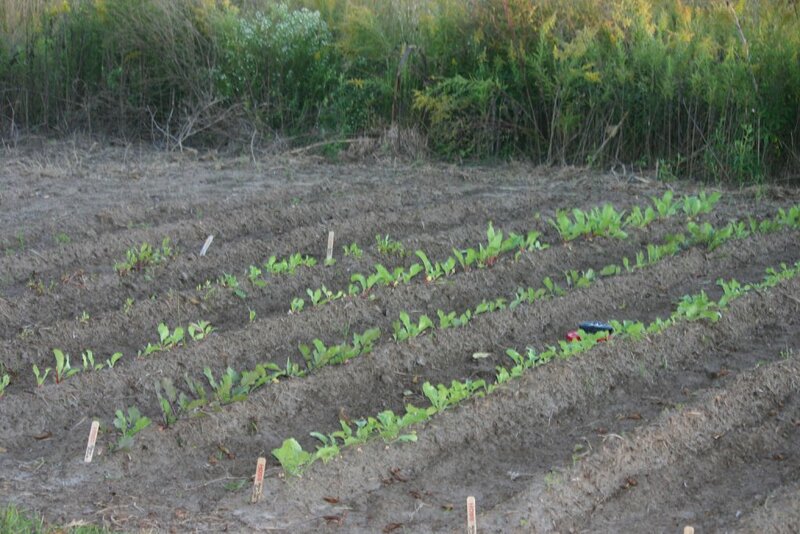 Much of the Romaine is ready to cut and we have been enjoying it regularly in nightly meals. We plant these rows fairly close and use the Hoss Cultivator Teeth or Oscillating Hoe attachments to keep the weeds under control. We also transplanted some China Gold Cabbage and Bok Choy to the right of the lettuce in the picture above. Next to those we planted Spinach, two rows of Mustard microgreens (Red Giant and Scarlet Frills) and Red Russian Kale using the Hoss Seeder. All four of these came up very well and will not need thinning due to the accurate singulation of the Hoss Seeder. We also have a few other microgreens (Tatsoi and Mizuna) started in the greenhouse that we will transplant later. This past weekend we transplanted Toscano Kale and Red Cabbage to the right of the microgreens and yesterday we transplanted this beautiful Rainbow Chard. 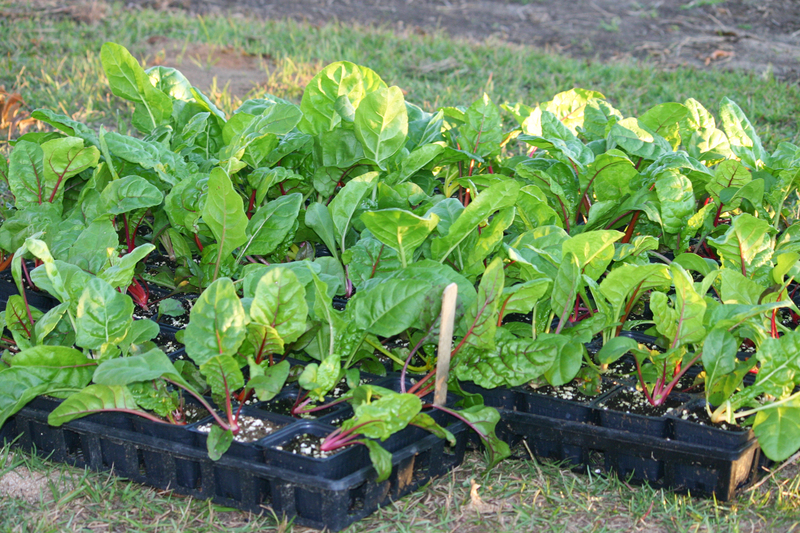 The Chard required a bit of a delicate touch while stepping up greenhouse plants from smaller to larger containers, but we ended up with more than enough for transplanting. We have a variety of broccoli named Green Magic that is particularly heat resistant. This was transplanted from greenhouse start-ups as well and is growing fast in this well-drained soil. We love fall gardening as the crops are easy to maintain and the bountiful harvest seems endless. We encourage everyone to find varieties that are suitable for your climate and grow your own food throughout the fall. Stay tuned for future updates as we will be planting onions and garlic soon in addition to harvesting all of the crops above. 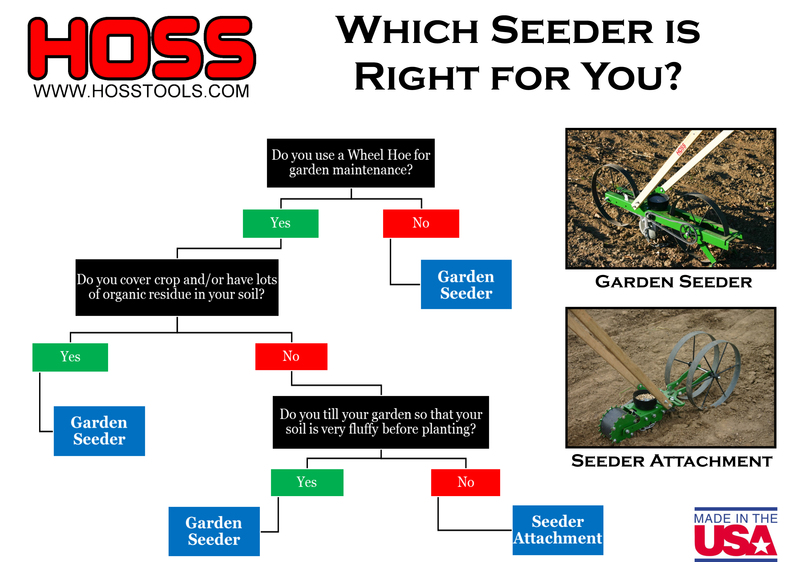 Which Seeder is Best for You?